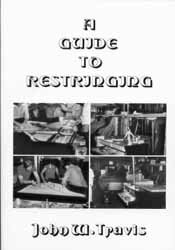 Standard reference on how to figure scales, install pinblocks, repair soundboards, broken agraffes, bridges. Immense number of piano scale charts. 508 pages, paperback.